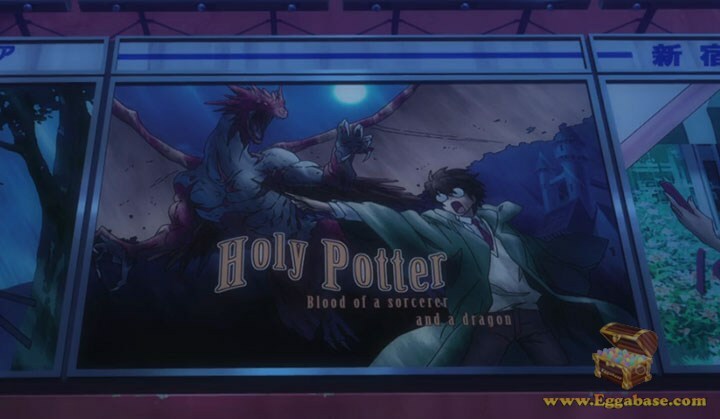 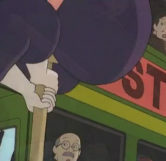 A bus with the words "Studio Ghibli" written on the side of it appears multiple times throughout the movie. 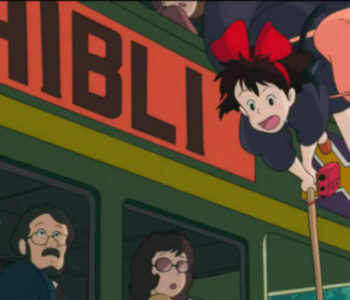 Studio Ghibli being the production studio that created Kiki's Delivery Service. 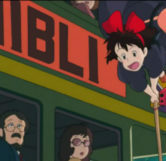 When Kiki first makes it to the city of Koriko she flys low near the road in an attempt to find somewhere to land. 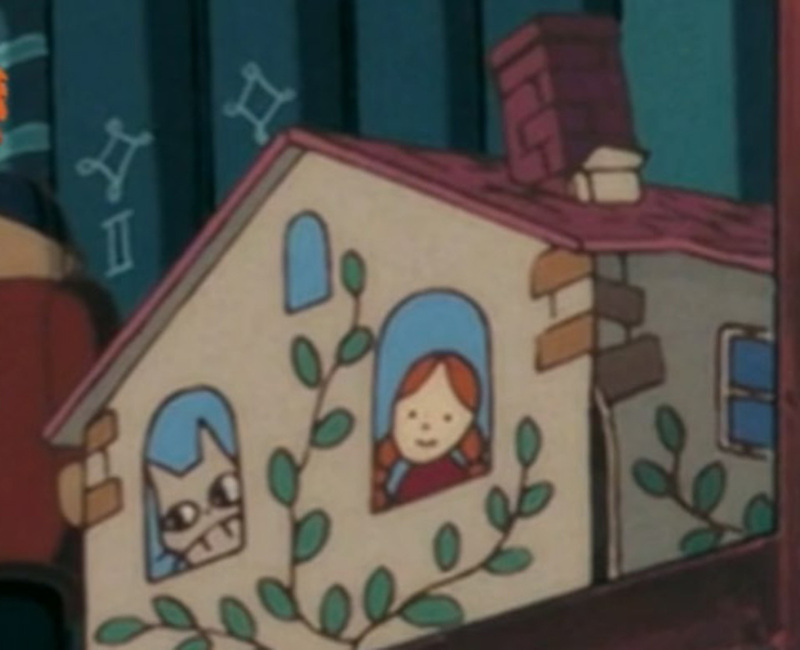 After a few seconds of flying over the sidewalk she decides to fly into a tunnel and almost crashes into a green double-decker bus. 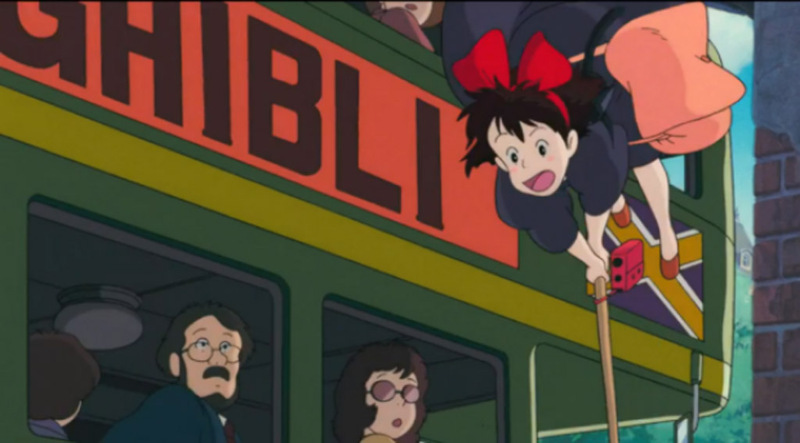 If you pause at exactly the right moment you can see that written on the side of the bus in large letter are the words, “Studio Ghibli”. 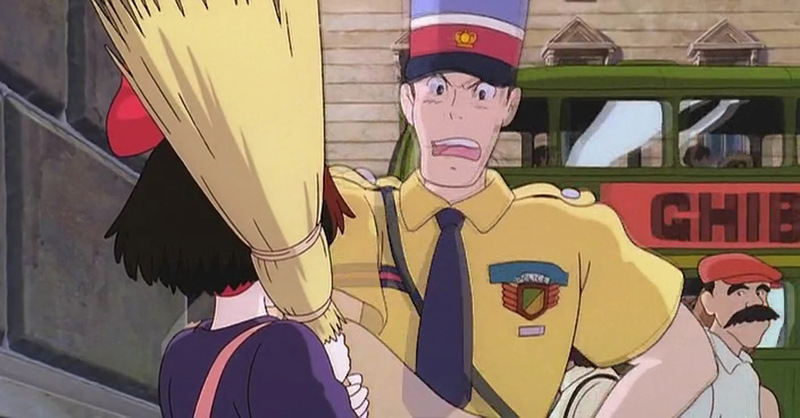 After Kiki almost hits the bus and creates a scene in the street, she flys around a corner where she’s finally able to land before a policeman runs over to lecture her on almost causing a wreck. 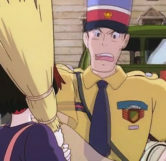 As the camera is focused on the policeman, in the background you can see a similar bus to the one Kiki almost hit a few moments earlier, but with only the single word, “Ghibli” on the side.